Visit the Members Preview area here. 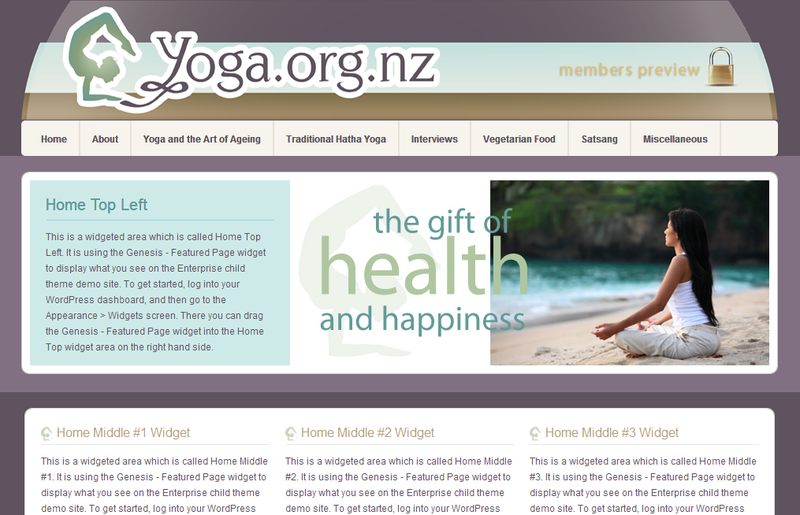 The overall look of the site needed to be modern and calm, suitable for the many different types of people who enjoy yoga. Because this is just a visual design, all the elements have to belong to a logical set of design rules. In this way, the kind folks at EarthFirst Infotec who are building the site in-house are able to continue the theme throughout a massive 50 page site, without needed additional designs from me. The site is still in development, but when it’s launched it will offer a lot of videos on yoga and healthy living. There is even a section to do with vegetarian cooking!